12 plus acre's of flat, level all usable land to build out your dream home site. Rural setting with good views of surrounding mountain range and vineyards. Freshly painted cute & cozy 2 BR cottage w/all new appliances new carpets & plank style flooring with a detached garage. 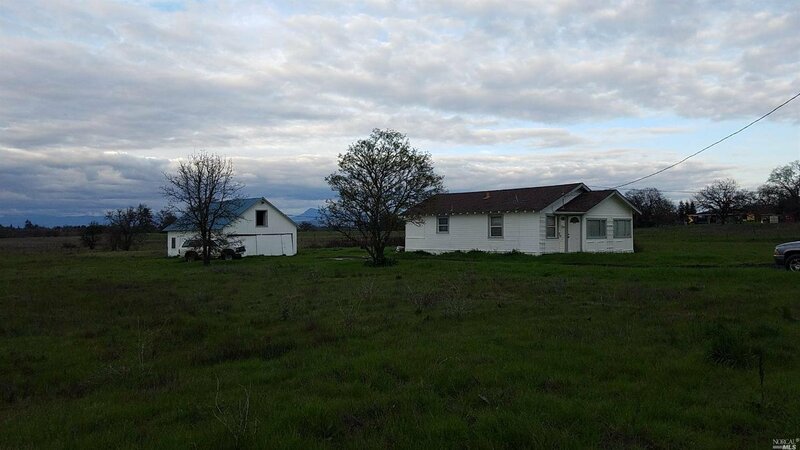 Property located west & outside the Santa Rosa city limits. Buyer to check with County Planner regarding permissible uses. All Zoning & inspection disclosures attached.